The Middle East Institute suggests that there are three distinct economic motives that drive the production of illicit cash crops, despite their illegal nature and the considerably large risks inherent in the industry. The first is a welfare or coping economy, in which drug production and trafficking provide a means for the poverty-stricken to provide for themselves and their families acts as a vehicle for many to rise out of poverty. The second is a black-market economy, in which profit is the motive. Organized drug production and trafficking is a very lucrative operation. One of the best examples of this was the Columbian based Medellin Cartel, which at its peak controlled 80% of the global cocaine supply, earning profits up to $4 billion annually. The final economic motive is the war economy. Illicit cash crops can often be considered a conflict commodity used to fund wars and conflicts across the globe. An example of this today is the link between opium production and terrorist financing, in which many terrorist organizations, including the Taliban, partly rely on the illegal drug trade to fund their operations. Three of the most lucrative and widely produced illicit cash crops are Marijuana, Coca, and Poppy. Each of these illicit crops will be highlighted in more detail below. While it is often difficult to quantify the economy surrounding black market goods such as illicit cash crops, marijuana is unique in that the global trend towards legalization has allowed for the quantifying of some statistics. In the United States, for example, many states have been legalizing the use of the drug for both medicinal and recreational use, which has allowed for the creation of a legitimate marijuana industry. According to a report by Arcview Market Research, legal marijuana sales in the US were $6.7 billion dollars in 2016. This represents an incredible 30% increase from 2015 is leading analysts to project sales exceeding $20.21 billion in 3 years. Coca, a plant used for the production, is a plant that is grown almost exclusively in northern and western South America. Columbia is the world’s leading producer of this cash crop, with Peru, Bolivia, and Chile also accounting for much of the market share. 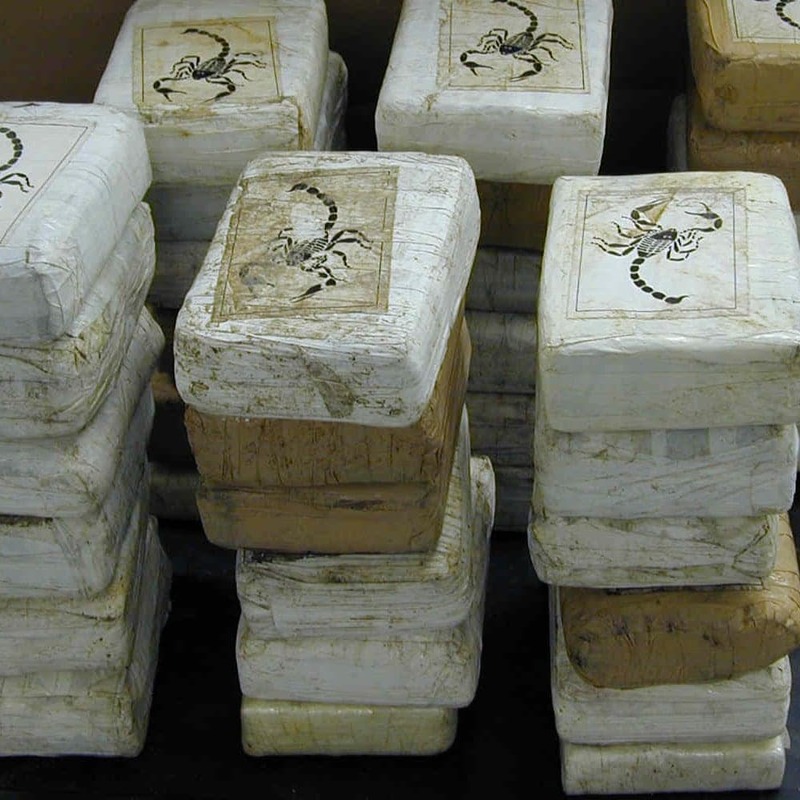 The Medellin Drug Cartel, referenced earlier in this blog, provides for one of the most interesting case studies on the effects of the illegal drug trade on a nation. As mentioned earlier, The Medellin Cartel, headed by the infamous Pablo Escobar, had a near monopoly on the Cocaine market in the 1980’s and early ‘90’s that brought in billions of dollars annually. This money had a double-edged effect on the national economy. On one side, Escobar and his cartel funneled millions into welfare projects that the government couldn’t provide. Escobar built hundreds of homes in the Medellin community (some of which still bear his name) and to this day is still held in high regards by many Columbians for the support he provided to their families and community. On the other end, however, the drug trade brought with it unprecedented levels of violence and corruption. Operations of the cartel led to political assassinations and the escalation of country’s decades-long civil war, which claimed the lives of an estimated 220,000 people since it started in 1958. The final major illicit cash crop is poppy, which is used in the production of opiates, namely heroin. Historically poppy was grown in southeast Asia, but today production has shifted to the middle east, most notably Afghanistan. Poppy has also been a major source of historical conflict with Great Britain and China going to war twice over the trade implications of the British selling Indian produced opium in China, where the drug was outlawed. These two wars, which lasted form 1939-1842 and 1856-1860 respectively were appropriately named The Opium Wars. These wars had a lasting effect on the global economy, specifically with China ceding the island of Hong Kong to Great Britain, which held island until 1997. Today, poppy has garnered much attention for its role in financing the Taliban and other terrorist organizations. From 2005-2008 the United States and the United Kingdom allocated an excess of $3 billion towards counternarcotics efforts in Afghanistan, however, these efforts did not have a major impact on the poppy market.